If you’re seeing demand for hyper-converged infrastructure (HCI) exploding among your customers, you know the reasons: increasing demand for virtualization, scalable solutions, and data protection and disaster recovery. From what market researchers tell us, the HCI growth curve will continue for years to come. 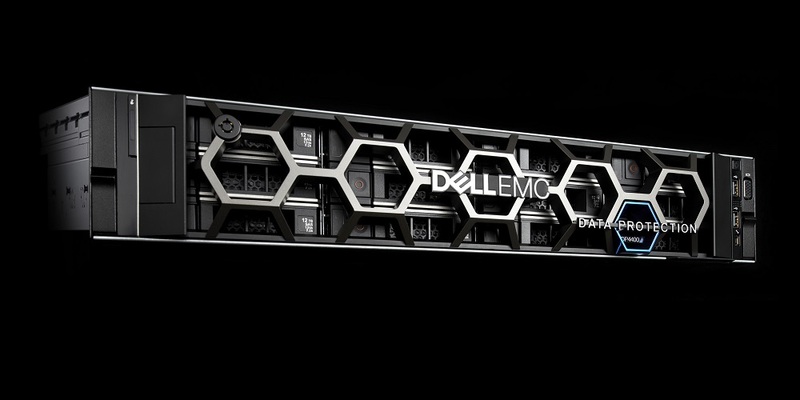 Given that ideal sales environment, the announcement of the new Dell EMC Integrated Data Protection Appliance (IDPA) DP4400 is a welcome news for a Dell EMC channel partner such as yourself. It’s a great way to penetrate further into existing customers and markets, while opening doors to new ones. Diving deeper into the market landscape, we see businesses of all sizes are suffering data sprawl, adopting cloud strategies and need modern and agile IT infrastructure. Despite those challenges, they are unable to deploy comprehensive data protection because it is either too expensive or short on capabilities or too complex. And it’s even tougher to protect growing amounts of data and increasing numbers of applications residing in diverse, widely distributed locations. Dell EMC Integrated Data Protection Appliance DP4400: Simply powerful, compact, converged, cloud-ready data protection that’s easy to deploy, manage and upgrade. These challenges are especially true for mid-size organizations as well as remote and branch offices of large enterprises that are increasingly forced to maintain siloed and complex data protection solutions to protect growing IT environments with more data, applications and users. Both types of businesses will find the new Dell EMC IDPA DP4400 ideal for their needs, especially with its space-saving 2U form factor. Dell EMC Integrated Data Protection Appliances: Help your customers compete with confidence and win with ease. Provide a trusted foundation for businesses to transform IT with a simply powerful data protection solution from Dell EMC, a market leader in the category. Encourage your customers to transform their business model and move from strategizing to widespread implementation of large-scale IT transformation by making investments in agile and reliable infrastructure. The Dell EMC IDPA DP4400 is a converged solution, a perfect combination of simplicity, power and efficiency, saving your customers valuable time, effort, money and space. With easy deployment, simple manageability and cloud-ready technology, both mid-sized and large enterprises can benefit from a complete and affordable data protection solution. Your sales teams can leverage DP4400 quick selling guide, top reasons for DP4400, customer presentation and many more sales collaterals available in the Dell EMC Knowledge Center. Your marketing teams can download marketing assets directly from data protection channel campaign playbook. Visit the Dell EMC Partner Portal today to learn more. Based on Dell EMC internal analysis of customer data as of May 2018. Source: ESG Lab Review commissioned by Dell EMC, February 2018, versus a competitive vendor A. Source: ESG Lab Review commissioned by Dell EMC, February 2018, versus a competitive Vendor A. Additional information on the testing environment. Satisfaction Guarantee: Requires purchase of a 3-year ProSupport agreement. Compliance is based on product specifications. Any refund will be prorated. Hardware Investment Protection: Trade-In value determined based on market conditions at Dell EMC’s sole discretion. Clear Price: Does not include SC series. *Up to 55:1 Data Protection Deduplication Guarantee guarantees effective logical data protection storage capacity of up to 55x the purchased physical capacity. Individual results may vary.